ConferenceSeries llc LTD invites all the participants from the world to attend the “World Congress on Pancreatic Cancer and Liver Diseases” which gathers all the people to share their knowledge and have a discussion on the current issue on pancreatic cancer and liver diseases. Conference series llc LTD organizes 300+conferences, 500+workshops and 200+ Symposiums on different branches like clinical, medicine, pharmaceutical sciences & Technologies every year from all over the world U.S.A, U.K, U.A.E, Singapore, Malaysia, Korea, Australia, India, Indonesia and from 1000 more scientific societies and published 500 open access journals with 30000 eminent personalities & reputed scientists as editorial members. 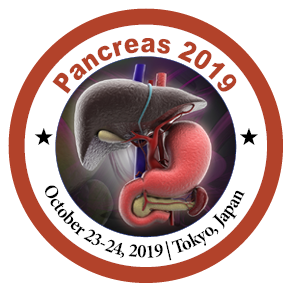 Pancreas 2019 is an expertise meet in the field of Gastroenterology and Hepatology where gastroenterologists and hepatologists, scientists, researchers, medical students, pharmacists, R&D scholars, medical professors, gynecologists, molecular biologists, bioinformatics students and professors, radiologists, cancer research institutes to exchange ideas, communicate & discuss the research work and about new advancements in the pancreatic cancer and liver diseases and its treatment. Around 35,000 people are said to be diagnosed with pancreatic cancer each year in Japan. The overall five-year survival rate, however, is 5 to 10 percent of all patients. Surgery is currently seen as the only potential cure for this type of cancer, yet it is typically only offered to patients whose cancer has not spread to any blood vessels, distant lymph nodes or other organs, such as the liver or lungs. “While the figures vary by medical facility, that’s around 20 to 30 percent of patients”. It has risen by one percentage point each year for the past three years. It almost always strikes over the age of 45, with about two-thirds of cases occurring in people over the age of 65. The average age at the time of diagnosis is 71. It is slightly more common in men than in women. The risk of developing liver-related disease goes up as people age. Almost all patients are under 65-year-old group, 7% died because of complications of chronic liver disease. 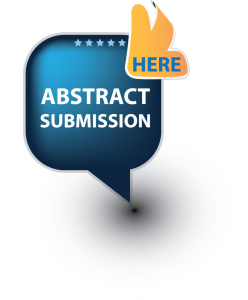 With delegate scientists, renowned speakers from all over the world we are gathering people from all over the globe to have a spectacular conference at one place. This is the best opportunity to reach the largest assemblage of participants from the different branches that are working on the gastroenterology and hepatology disorders to reduce the mortality rate by providing the highly effective therapy to the affected patients. Speakers will include world renowned experts in all disciplines, offering a unique opportunity to highlight new technologies in all aspects of gastroenterology and hepatology. Pancreas is a portion of human digestive system. It does two foremost things. It creates pancreatic juice which consist of substances called pancreatic enzymes. These enzymes aid to break down food so the body can absorb it. The pancreatic juice flows down through a tube called the pancreatic duct, which goes through the length of the pancreas and empties into the duodenum (the first part of the small intestines). The pancreas is responsible to produce hormones called as Insulin, which control sugar levels in the blood. Both of these processes can be affected if the pancreas isn’t working properly. Pancreatic diseases comprise acute and chronic pancreatitis characterized by severe inflammation of the pancreas. Inflammation in the pancreas is known as Pancreatitis. The pancreas is a long, flat gland that is located behind the stomach in the upper abdomen. The pancreas creates pancreatic enzymes that help digestion and hormones which controls the way your body processes sugar (glucose). Cystic Fibrosis of the pancreas is a disorder that progresses due to inadequate development of sodium bicarbonate in the body. This leads to thickening of pancreatic enzymes due to dehydration. This may obstruct the pancreatic ducts from allowing the production of pancreatic enzymes passage into the small intestine. Ultimately this condition will lead to fibrosis of the pancreas. The exocrine cells comprise acinar cells and the endocrine cells are present in clusters of cells called the islets of Langerhans. The Islets of Langerhans function in the production of hormones insulin and glucagon, somatostatin and pancreatic enzymes with the support of pancreatic alpha, beta, delta and gamma cells. Pancreatic insufficiency is the incompetence to properly digest food due to a deficiency of digestive enzymes produced by the pancreas. Diabetes leads to many alterations in the glucose metabolism rates between those afflicted by the disease and those not. The other pancreatic enzymes trypsin, amylase and pancreatic lipase also result in the proper absorption and digestion of nutrients by the small intestine. Pancreas is an organ, which plays a major role in digestion and hormone production. Disorders of pancreas include acute pancreatitis, pancreatic cancer and hereditary pancreatitis. The journal stocks up information about pancreatic disorders, methods of detection, different therapies and advanced treatments to overcome pancreatic disorders. Surgery is often part of the treatment for pancreatic cancer if it can be done. Depending on the type and stage of your cancer, surgery might be used to remove the cancer and part or your entire pancreas. Ablation or embolization is another way of destroying the tumors without surgery. Anti-cancer drugs are either introduced by injecting into the veins or by oral administration. Chemotherapy and Radiation therapy are sometimes used simultaneously. Whipple procedures are surgical removal of cancerous pancreatic parts. This also includes pancreaticoduodenectomy and pylorous preserving whipple. Pancreatic Cancer and the numerous diseases associated with this organ have been in the top priority of most researchers in the field of research. In the past, the number of people dying of pancreatic cancer and its various diseases had increased to an extent that currently, it has become the fourth most common cause of Cancer Death in the United States. Researchers have been focused on finding advanced treatment techniques for this cancer type. Including high alcoholism, there are number of causes that lead to malfunction or disrupt the normal metabolism of this organ. Imaging tests used to diagnose pancreatic cancer include ultrasound, computerized tomography (CT) scan and Magnetic Resonance Imaging (MRI). The CT scan uses x-rays to produce detailed cross-sectional images of your body. CT scans are often used to diagnose pancreatic cancer because they can show the pancreas clearly. MRI scans use radio waves and strong magnets instead of x-rays. The energy from the radio waves is absorbed by the body and then released in a pattern formed by the type of body tissue and by certain diseases. Replacing of diseased pancreas with a healthy pancreas is pancreatic transplantation. Different transplant methods include Pancreas Alone Transplant, Liver-Pancreas Transplant, Pancreas after Kidney Transplant and Simultaneous Kidney Pancreas Transplant. Islet Cell Transplantation involves only the transplantation of Islet cells. Care is taken that the grafts are accepted with the help of immunosuppressant and new anesthesia techniques. Positron emission tomography (PET) Scan is done to image the area of cancer by injecting radioactive sugars. Magnetic Resonance Cholangiopancreatography (MRCP) is used to look at the pancreas. This test is not used for biopsies. Endoscopic Retrograde Cholangiopancreatography (ERCP) is used to check for pancreatic cancer and any blocks by injecting a dye through endoscopy. This test can also be used for biopsies. Endoscopic ultrasound is done with a small ultrasound probe attached to endoscope. Biopsy is most commonly done by laparoscopy. Trans abdominal ultrasound examination is used to detect cancers and stones in the gall bladder. Case reports of such diagnosis and clinical trials will be discussed in this session. The liver is the body’s largest internal organ that sits on the right-hand side of the belly. It is an essential organ that has many functions in the body, including making proteins and blood clotting factors, manufacturing triglycerides and cholesterol, glycogen synthesis and bile production. The liver filters the blood coming from the digestive tract and detoxifies the chemicals and metabolizes the vitamins, proteins, fats, carbohydrates and drugs. The liver secrets the bile that ends up back in the intestine. The human liver is usually perceived as a non-immunological organ engaged primarily in metabolic, nutrient storage and detoxification activities. The healthy liver is also a site of complex immunological activity mediated by a diverse immune cell repertoire as well as non-hematopoietic cell populations. In the non-diseased liver, metabolic and tissue remodeling functions require elements of inflammation. In this complex microenvironment, the hepatic immune system tolerates harmless molecules while at the same time remaining alert to possible infectious agents, malignant cells or tissue damage. In the healthy liver, constantly changing metabolic and tissue remodeling activity, combined with regular exposure to microbial products, results in persistent, regulated inflammation. These inflammatory processes act in a tightly controlled fashion and are stimulated to additional activity only when the liver is required to rid itself of hepatotropic pathogens, malignant cells or toxic products of metabolic activity. Failure to clear such dangerous stimuli and resolve inflammation, leads to chronic infection, autoimmunity or tumor growth. This is inevitably associated with chronic pathological inflammation and disrupted tissue homeostasis, which can progress to fibrosis, cirrhosis and liver failure. Histological examinations of liver biopsy before treatment showed accumulation of fat within the hepatocytes, bile duct endothelium and epithelium and kupffer cells which contain the portal macrophages. The liver serves as the filtration ground of absorbed intestinal luminal contents which are particularly susceptible to microbial antigens. Hepatobiliary diseases are diseases that affect the biliary tract or the liver. Cholangiocarcinoma is usually a bile duct that presents a malignant tumor. Treating the disease requires removal and/or resection. Biliary structures (both malignant and benign) – occur when the bile ducts become inflamed or injured. The ducts narrow and form a stricture. They are often caused by injury or cancer. Bile duct stones – are stones that occur within the bile duct, similar to a gallstone. They often start developing in the gallbladder and make their way into the bile duct. The hepatobiliary system is made up of the liver, gall bladder and bile ducts. Conditions or diseases that cause harm to these areas, which can be life threatening, are referred to as hepatobiliary diseases. Caroli disease and Caroli syndrome are rare congenital disorders of the intrahepatic bile ducts. They are both characterized by dilatation of the intrahepatic biliary tree. The term Caroli disease is applied if the disease is limited to ectasia or segmental dilatation of the larger intrahepatic ducts. Biliary atresia is a rare disease of the liver and bile ducts that occurs in infants. Neonatal hemochromatosis is a syndrome in which severe liver disease of fetal or perinatal onset is associated with deposition of stainable iron in extrahepatic sites. Survival rates in babies who undergo liver transplantation are reportedly 50%. A liver metastasis is a cancerous tumor that has spread to the liver from a cancer that started in another place in the body. It’s also called secondary liver cancer. Primary liver cancer originates in the liver and most commonly affects individuals who have risk factors such as hepatitis or cirrhosis. Cancer in the liver is secondary, or metastatic. There may be no symptoms in the early stages of liver metastasis. In later stages, cancer can cause the liver to swell or obstruct the normal flow of blood and bile. When this happens, loss of appetite, weight loss, dark-colored urine, abdominal swelling or bloating, jaundice, a yellowing of the skin or the whites of the eyes, pain in the right shoulder, pain in the upper right abdomen, nausea, vomiting, confusion, sweats and fever, enlarged liver. Cirrhosis is a late stage of scarring (fibrosis) of the liver caused by many forms of liver diseases and conditions, such as hepatitis and chronic alcoholism. Cirrhosis occurs in response to damage to your liver. Each time your liver is injured, it tries to repair itself. In the process, scar tissue forms. As cirrhosis progresses, more and more scar tissue forms, making it difficult for the liver to function. Cirrhosis occurs in response to damage to your liver. Each time your liver is injured, it tries to repair itself. In the process, scar tissue forms. As cirrhosis progresses, more and more scar tissue forms, making it difficult for the liver to function which include Fluid accumulation in your abdomen (ascites), Confusion, drowsiness and slurred speech (hepatic encephalopathy), Testicular atrophy in men, Breast enlargement in men. Cirrhosis can also cause portal hypertension, Enlargement of the spleen (splenomegaly). Hepatitis refers to an inflammatory condition of the liver. It’s commonly caused by a viral infection, but there are other possible causes of hepatitis. These include autoimmune hepatitis and hepatitis that occurs as a secondary result of medications, drugs, toxins, and alcohol. Autoimmune hepatitis is a disease that occurs when your body makes antibodies against your liver tissue. Viral infections of the liver that are classified as hepatitis include hepatitis A, B, C, D, and E. A liver biopsy is an invasive procedure that involves your doctor taking a sample of tissue from your liver. This test allows your doctor to determine how infection or inflammation has affected your liver. Corticosteroids, like prednisone or budesonide, are extremely important in the early treatment of autoimmune hepatitis. Hepatitis is an inflammation of the liver characterized by diffuse or patchy necrosis. Autoimmune hepatitis (AIH) is one exception. This type of liver disease occurs when your immune system attacks your liver cells. AIH is a chronic condition that can result in cirrhosis (scarring) of the liver. certain risk factors have been identified, including mainly a family history of AIH. Autoimmune hepatitis likely results from a combination of autoimmunity, environmental triggers, and a genetic predisposition. It occurs more frequently in females. Treatment typically includes corticosteroids and medications that suppress the immune system. In severe cases, a liver transplant may be needed. Ischemic hepatitis differs from other types of hepatitis. Which can have many causes, most commonly a virus (as in hepatitis A or B). However, in ischemic hepatitis, the liver is not inflamed. Rather, liver cell death(necrosis) occurs. The term hepatitis is used because technically, it refers to any disorder in which enzymes called aminotransferases leak from damaged liver cells into the blood. To diagnose hepatitis, first your doctor will take your history to determine any risk factors you may have for infectious or noninfectious hepatitis. Liver function tests use blood samples to determine how efficiently your liver works. High liver enzyme levels may indicate that your liver is stressed, damaged, or not functioning properly. An abdominal ultrasound uses ultrasound waves to create an image of the organs within your abdomen. It can reveal Liver tumors, Liver failure, Abnormalities of gall bladder. Treatment options are determined by which type of hepatitis you have and whether the infection is acute or chronic. Viruses are the intracellular parasites that depend on synthetic processes of host cells. They cannot be grown on ordinary medium. Special microscopes are needed to visualize their structure, which consists of Genome (genetic material consisting of DNA or RNA component but never both), Surrounding capsid –proteinaceous in structure, Envelope –protein bilayer. Hepatitis B virus (HBV) is an important cause of end-stage liver disease and hepatocellular carcinoma (HCC). The decision to treat is based on the activity of liver disease and HBV replication status, and the likelihood of a long-term benefit. Approved therapies include standard and pegylated interferon-alfa and nucleoside analogues: lamivudine, adefovir and entecavir. Even with successful therapy, patients remain at risk for reactivation of viral replication and require lifelong monitoring. HBV in HBsAg-positive patients treated with allogeneic hematopoietic cell transplantation. Highly active antiretroviral therapy is initiated for decreasing mortality relating to HIV. Influenza can be type A, B or C depending upon type. Influenza A and B are more common. It's not something you probably think much about, but your liver is a key player in your body's digestive system. Everything you eat or drink, including medicine, passes through it. You need to treat it right, so it can stay healthy and do its job. Eat a healthy diet and get regular exercise. Your liver will thank you. You'll keep your weight under control, which helps prevent nonalcoholic fatty liver disease (NAFLD), a condition that leads to cirrhosis. Watch out for certain medicines. Some cholesterol drugs can occasionally have a side effect that causes liver problems. Alcoholic beverages can create many health problems. They can damage or destroy liver cells and scar your liver. It is normal for the liver to contain some fat and by itself, this causes no symptoms. In some patients, the excess fat can cause inflammation called steatohepatitis. Steatohepatitis can lead to cirrhosis (fibrosis, scarring and hardening of the liver). There is also an association with liver cancer (hepatocellular carcinoma). Fatty liver can be classified as alcohol and nonalcohol related. Alcohol is a direct toxin to the liver and can cause inflammation. Nonalcoholic fatty liver disease (NAFLD) and nonalcoholic related steatohepatitis (NASH). Obesity is a major health problem worldwide. Obesity also increases the risk of developing several diseases such as type II diabetes, insulin resistance, coronary heart disease (responsible for heart attacks), cerebrovascular disease (responsible for strokes), high blood pressure, gout, gallstones, colon cancer, sleep apnea, and a form of liver disease called nonalcoholic fatty liver disease (NAFLD). Acute fatty liver of pregnancy (AFLP) is a rare, potentially fatal complication that occurs in the third trimester or early postpartum period. Although the exact pathogenesis is unknown, this disease has been linked to an abnormality in fetal fatty acid metabolism. Early diagnosis of AFLP sometimes can be difficult because it shares features with other common conditions such as pre-eclampsia, viral hepatitis and cholestasis of pregnancy. Liver cancer is the condition which occurs when normal cells in the liver become abnormal in appearance and destructive to the adjacent normal tissues, which can spread to other areas of liver or to the other organs outside of the liver. Cancer cells are characterized by the procurement of several capacities amid the stages of tumorigenesis, maintenance of proliferation signaling, induction of angiogenesis, activation of invasive resistance to cell death, inhibition of growth suppressors, and metastatic pathways, ability to evade immunological destruction and alteration of cellular metabolism. The clonogenic capacity of stem cells was evaluated by the stem cell colony formation assay. The molecular targets of interest have expanded from angiogenesis to cancer cell-directed oncogenic signaling pathways for advanced HCC treatment .The feasibility of combining locoregional therapies and targeted agents, and the use of novel agents after curative treatments are currently under active investigation. Finally, the therapeutic strategy has shifted from monotherapy to combination targeted therapy. Considering certain cases liver cancer occurs due to genetic inheritance. Due to recessive genes, the human body will not fight against the antigens as they are unable to recognize and produce antibodies against the antigens. Whole genome analysis technique is used to find the genomic aberrations; DNA hypo methylation promotes a diverse range of Liver cancers. Liver diseases are mostly seen as in a grown-up, however, a huge number of children from babies to teens experience from different types of liver diseases. The volume of the liver and the blood flow decreases with age, immune responses against pathogens or neoplastic cells are lower in the elderly reducing their tolerability to treatments for liver diseases. Liver regeneration capacity shows a decline in age, reduced proliferation of hepatocytes, but the level of hepatic enzymes and high-density lipoprotein cholesterol is well maintained. Pediatric hepatology focuses on the diagnosis and treatment of liver and liver-related disease in infants and children. Liver imaging is basically for precise diagnosing biliary tract issue and is imperative for identifying liver injuries or damage and patients with a suspected malignancy is important because the liver is the common site of metastatic spread and those who are at the risk of developing hepatocellular carcinoma. Liver transplant is an operation that replaces a replaces a person’s diseased heart with a partial or a whole liver from a donor. A rare condition in newborn infants is Biliary atresia in which the common bile ducts, which carry bile out of liver and present between the liver and small intestine is absent or blocked. Bariatric surgery performed on people, who have obesity through a variety of procedures. Removing a tissue sample (biopsy) from the liver may help diagnose liver disease. Liver biopsy is done using a long needle inserted through the skin to extract a tissue sample and then analyzed in a laboratory. The global pancreatic cancer therapy market is expected to reach US$ 4,056.4 Mn in 2025 from US$ 2,011.2 Mn in 2017. The market is estimated to grow with a CAGR of 8.1% from 2018-2025. The growth of the pancreatic cancer therapy market is primarily attributed to the increase in the number of therapies launched in the market. The development of new drugs is thus expected to drive the growth of pancreatic cancer therapy market. For instance, in October 2015, the FDA approved the Onivyde drug by Merrimack Pharmaceuticals, Inc. as a part of treatment regimen for advanced pancreatic cancer. Some common side effects associated with chemotherapy drugs include diarrhea and abdominal cramping, fatigue, loss of appetite, change in food taste and others. Cancer cells that are rapidly growing are killed by chemotherapy drugs. 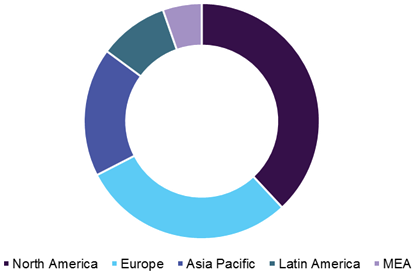 Liver Disease Treatment Market Report, published by Allied Market Research, forecasts that the global market is expected to garner $19,536 million by 2022, registering a CAGR of 11.72% during the period 2016 - 2022. The antiviral drug segment held a major share of the total market in 2015 and is expected to maintain its lead throughout the forecast period. This is attributed to the high incidences of virus-infected liver diseases including Hepatitis. However, corticosteroid drug segment registered fastest growing segment during the forecast period. 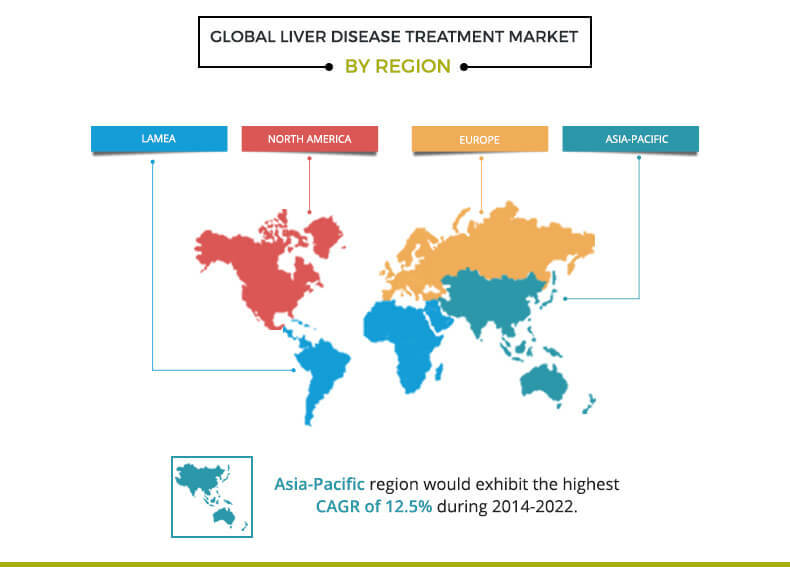 The factors driving the liver disease treatment market are rapidly changing lifestyle patterns such as increasing consumption of alcohol, and unhealthy diets; and the increasing prevalence of liver diseases.